Today ONLY, while supplies last, score a pair of these New Balance Women's 824v1 Cross-Training Shoes for ONLY $34.99 (Retail $89.99). The women's 824 trainer is ultra cushioned so you can power through your routine in comfort. Designed with responsive and durable N2 cushioning technology, this trainer offers the comfort you need to make every move matter. QUIX technology combined with performance stretch lace gives stellar flexibility and traction for lateral movements. 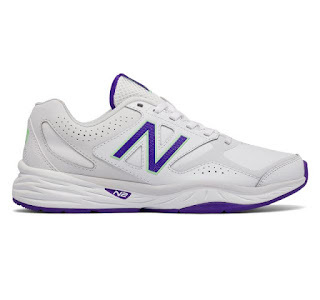 A leather upper and an NB ultra soft comfort insert work even further to make the 824 trainer for women your key to a more comfortable workout.